Increased tooth sensitivity highlights the ongoing pathological process in the oral cavity. 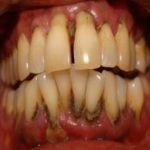 Mostly related to insufficient or neglected care of oral hygiene. Tooth sensitivity is manifested by pain to external stimuli, humans greatly reduces and lowers the quality of life. Therefore he should not postpone a visit to the dentist. 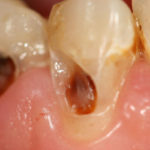 Even the most common reason is indecent tooth necks – receding gums as part of periodontitis or other reasons. Exposed necks are very sensitive, with close proximity to nerve endings. Pain arises in contact with hot or cold stimuli like. Pain can arise even in contact with a toothbrush, leading the patient to neglect consistent care, and thus a vicious circle. 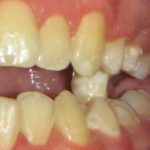 Increased sensitivity of one or several teeth suggest impairment caries. Again, I recommend visiting the dentist.